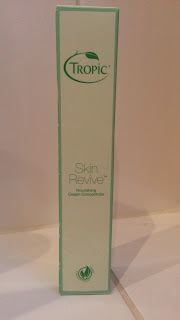 I recently received some Tropic Skin Revive Nourishing Cream Concentrate to review for the What's Good to Do website. 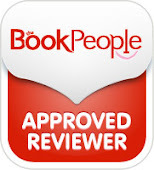 Here is my review which has even been retweeted by Lord Alan Sugar!! 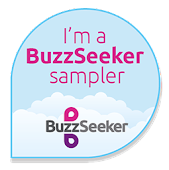 I am 42 and have tried lots of different creams over the years, all with amazing claims that they rarely live up to. Consequently I chop and change between products and have never stayed loyal to a particular brand. As I spend a lot of time outdoors my skin does get quite dry so I always moisturise morning and night and do spend quite a lot of money on moisturisers. 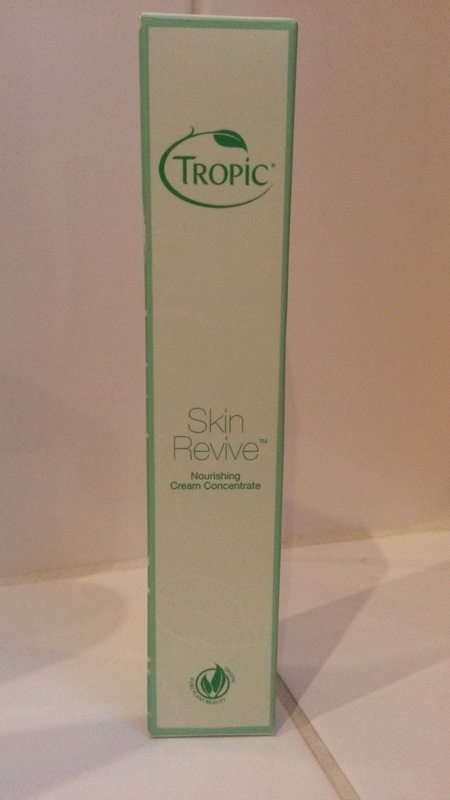 My current moisturiser is quite an expensive one so I was really interested to see how the Tropic Skin Revive Nourishing Cream Concentrate compared to it. 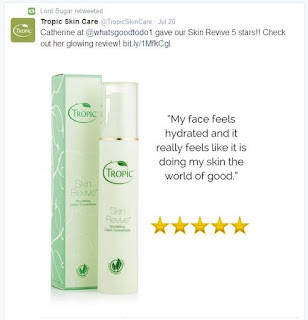 I have to be honest and admit that I had never heard of the Tropic brand before so when it arrived I had a look on their website to find out more about the brand. 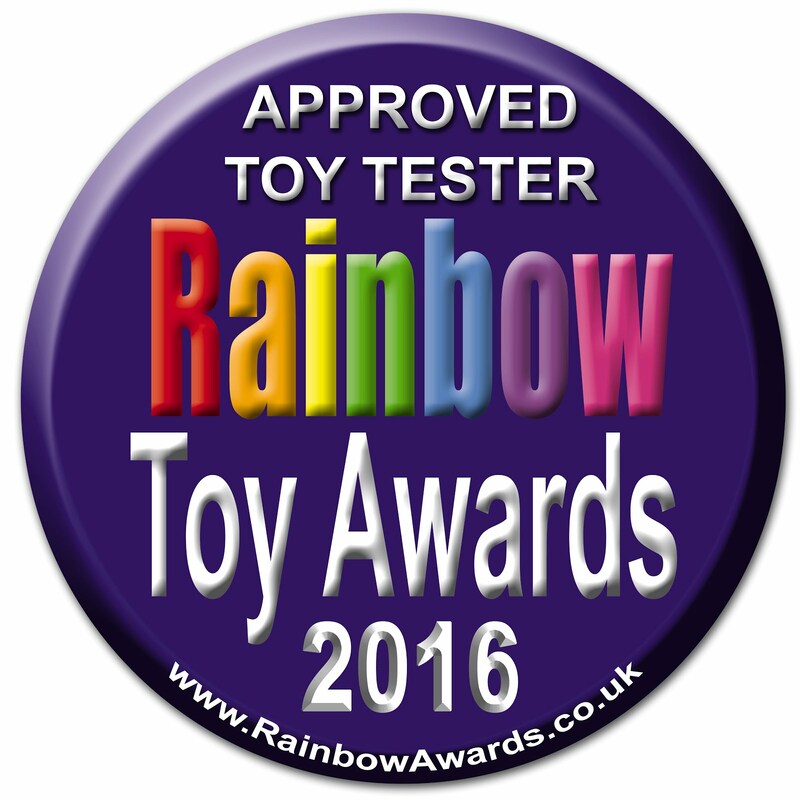 The website is excellent and the three values that they follow are Pure, Honest and Effective. 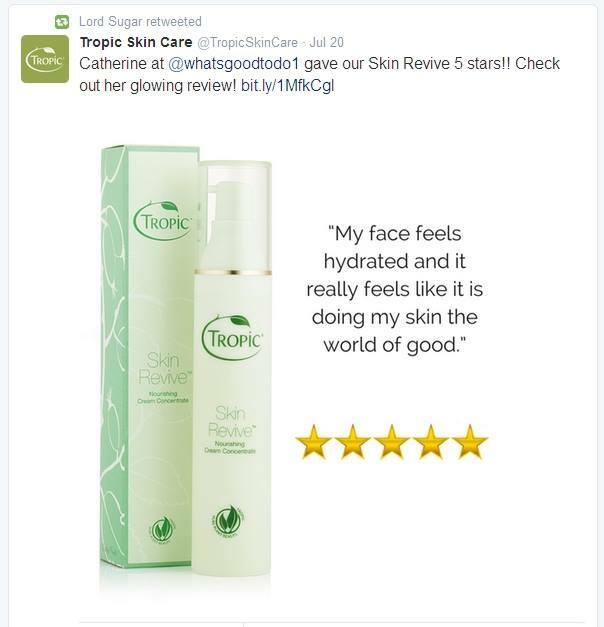 They also say “We fill our products with the finest natural ingredients to take the very best care of you and your skin.” I am a firm believer in natural beauty products and after looking at the website and reading some of the reviews I was quite excited to try this product. I started to see an improvement in my skin after just a few days; my skin was noticeable brighter and felt lovely and soft. As well as improving the look of my skin it has an amazing fragrance and the silky texture feels lovely on my skin. I found that it is light enough that it absorbs easily into my skin and it wasn’t greasy at all. My face feels hydrated and it really feels like it is doing my skin the world of good. 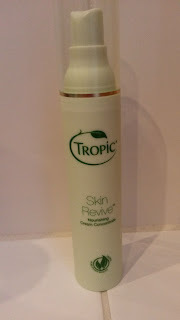 I have been using this moisturiser both morning and night and I am really impressed with it. I will certainly be swapping from my normal moisturiser as it is so light, smells lovely and leaves my skin in tip top condition.